5.0 oz. 60/40 combed ringspun cotton/polyester French terry. Taped neck. 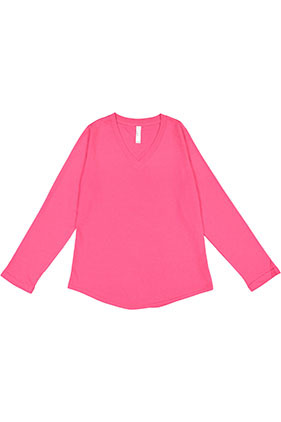 Coverstitch ribbed v-neck collar and armholes. Double-needle hemmed sleeves and shirt-tail bottom. White is sewn with 100% cotton thread.